We have had a record-breaking and breath-taking season as a Parish Family. 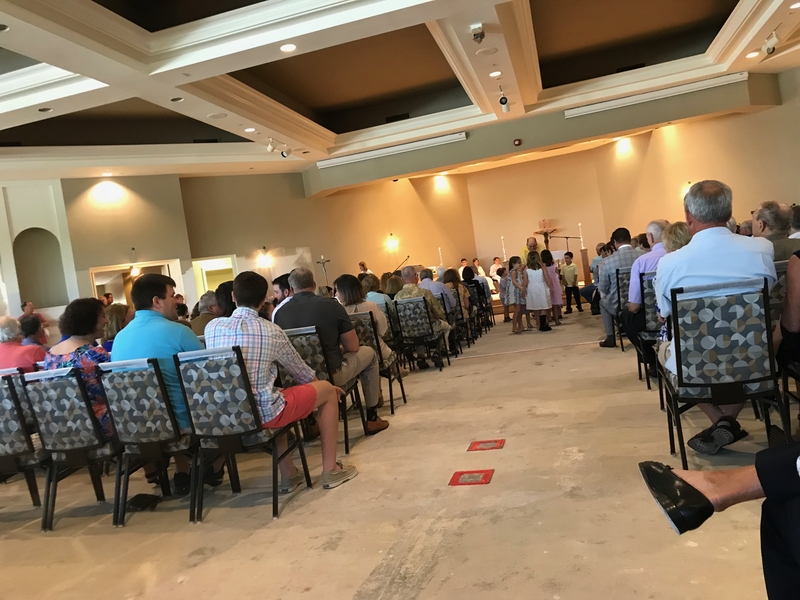 Even in the midst of our recovery from one of the worst natural disasters to hit our campus with Hurricane Irma, we still had over 5000 people attend our 9 and 11:15 AM Easter Masses alone. With the largest youth Faith Formation program in memory, new softball league teams for adults, 45 truckloads of urgent food and supplies delivered after the storm, and the continuous positive liturgical environment which enlivens the faith in our souls each and every week, we have so much to be thankful for. Things are not going to be slowing down for Saint John, however. We are about to embark on the largest and most complex transformations of our environment, and it will require the support, flexibility, and engagement of our entire Parish Family. Our church was hit incredibly hard by the hurricane. 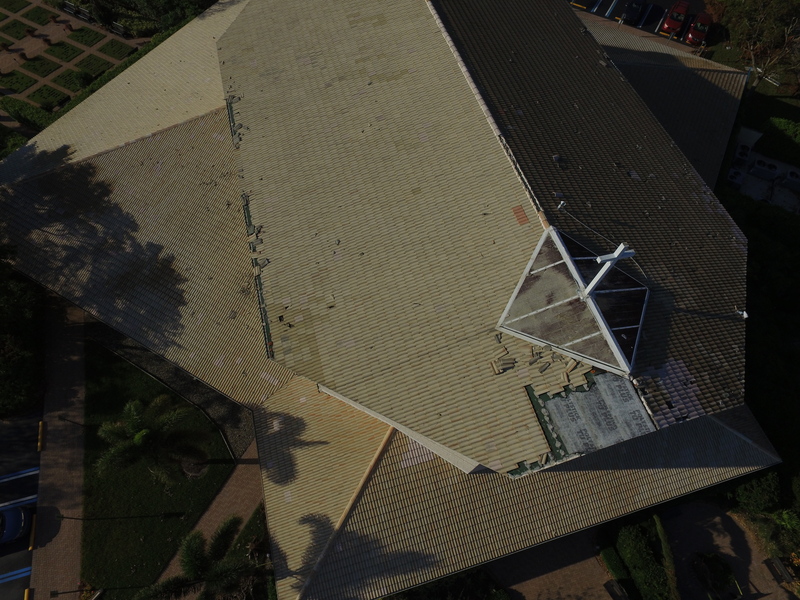 Many of you have seen the stories of our church roof damage, and how the water came in, wreaking havoc on every part of the building. Those of you who have been attempting to open the doors and finding them warped and cracking have felt the frustration of waiting for our repairs to begin. That time is nearly upon us. With the Ballroom almost complete, we will be closing the church building so we can perform the necessary and essential repairs and renewal needed. That does not in any way mean we will not have a church. We will be going back to our roots as a Parish Family. We will hold our Masses in another building, the Parish Activity Center Ballroom. This renovated space will be turned into our church until the church building is completely restored to its beautiful and engaging self again. Daily Masses, funerals, weekend Masses, and all services will stay exactly on schedule and will be held in the Ballroom. Confessions will be heard. Baptisms will be performed. The only two differences will be the closure of our 24-hour Adoration Chapel and the Divine Gift Boutique, both of which will reopen once the church building is complete. We will continue as a Parish Family to find joy, peace, communion, and hospitality through our worship space of the Ballroom. As if the major effort of restoring the church building was not enough this summer, we have an unplanned situation of the loss of air conditioning within the Claussen Center. The units that were installed as part of the construction of this building have lived beyond their life-cycle, and they had been planned to be replaced as part of the Capital Campaign. However, what was not planned was the entire infrastructure of the units (which sit outside the building in the middle of the back parking lot) must also be completely replaced. These pipes will need to be laid underground and it will take a significant amount of time to get those systems in place. In the meantime, all activities and programs that operate within that building will either be suspended or moved to the Parish Activity Center for the duration of the construction efforts. And, to add one final wrinkle to our campus, the Life Center and back parking lot construction will be completed this summer. We will have a brand-new facility, along with the new and renewed programs of Catholic Youth Organization and Catholic Adult Organization. These programs will launch during the end of the summer and into the Fall. You will always want to check out the CYO and CAO pages of the bulletin to catch up on the latest information about those programs to see if something like our bocce league or painting classes or open gym nights would be interesting to you and your friends. I am certainly looking forward to the Life Center’s opening this summer, and celebrating the entire campus’ renewal with our Parish Family and the entire community in January. While it is going to take a massive effort to accomplish all this work, it is going to be one heck of a party once it is completed! I thank each and every one of you for your support, flexibility, and patience during this massive undertaking. God Bless our Parish!